Three power-packed products to resurface, refine and renew skin. The ultimate skin brightening and resurfacing peel with Probiotic technology. Triple action resurfacing gommage clay mask with Probiotic technology. With 4% Glycolic Acid and Probiotic technology. 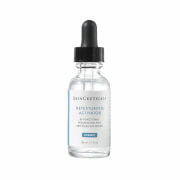 Step 1: Super Acids X-treme Acid Rush Peel: For best results, use twice weekly. Apply 3 pumps onto a cleansed face and neck. Leave on for 10-15 minutes before rinsing thoroughly with lukewarm water.Avoid eye contact. If eye contact occurs, rinse well with lukewarm water. Do not use on irritated skin, discontinue use if irritation occurs. If irritation develops or persists, consult a health care practitioner. This product may make your skin more sensitive to the sun, use adequate sunscreen protection whilst using this product and for a week after you discontinue use. Step 2: Super Acids Hangover Mask: Apply once a week on clean skin to the face and neck avoiding the eye area. Leave to dry for a minimum of 5 minutes. Rub off gently with fingertips until most of the mask is gone, then wash off any residue with lukewarm water. Avoid eye contact. Discontinue use if skin irritation develops or increases. If irritation develops or persists, consult a health care practitioner. 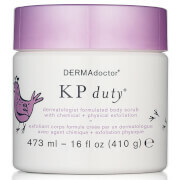 Step 3: Super Acids After Party Scrub: Gently massage on damp skin avoiding the eye contour area. Rinse with lukewarm water. Keep out of reach of children. Do not use on children under 3 years old. Do not use on peeling or irritated skin. Use sun screen during daytime. Super Acids X-treme Acid Rush Peel: Aqua (Water), Propylene Glycol, Ammonium Acryloyldimethyltaurate/ VP Copolymer, Glycolic Acid, Cyclopentasiloxane, Sodium Lactate, Azelaic Acid, Polysilicone-11, Dimethicone, Lactic Acid, Phenoxyethanol, Behenyl Alcohol, Punica Granatum (Pomegranate) Extract, Butyrospermum Parkii (Shea Butter), Parfum (Fragrance), Disodium EDTA, Ethylhexylglycerin, Alcohol Denat, Ananas Sativus (Pineapple) Fruit Extract, Passiflora Quadrangularis Fruit Extract, Vitis Vinifera (Grape) Fruit Extract, Lactobacillus Ferment Lysate, Hydrogenated Castor Oil, Stearyl Alcohol, Protease, Subtilisin, Sodium Benzoate, Potassium Sorbate, Limonene, Geraniol, Linalool, Farnesol. Super Acids Hangover Mask: Aqua (Water), Kaolin, Cera Microcrystallina, Cetearyl Alcohol, Glyceryl Stearate, PEG-100 Stearate, Sodium Lactate, Phenoxyethanol, Glycolic Acid, Stearyl Alcohol, Propylene Glycol, Ceteareth 20,Ananas Sativus (Pineapple) Fruit Extract, Punica Granatum (Pomegranate) Extract, Vitis Vinifera (Grape) Fruit Extract, Parfum (Fragrance), Galactoarabinan, Alcohol Denat, Ethylhexylglycerin, Lactobacillus Ferment Lysate, Passiflora Quadrangularis Fruit Extract, Sodium Benzoate, Potassium Sorbate, Acetyl Hexapeptide- 8, Sodium Bisulfite, Tetrasodium EDTA, CI 77891 (Titanium Dioxide), CI 19140 (FD & C Yellow No. 5), CI 42090 (FD & C Blue No. 1), Limonene, Geraniol, Linalool, Farnesol. Super Acids After Party Scrub: Aqua (Water), Polyethylene, Cetearyl Alcohol, Caprylic/Capric Triglyceride, Glycolic Acid, Glycerin, Glyceryl Stearate, PEG-100 Stearate, Bentonite, Triethanolamine, Butyrospermum Parkii (Shea) Butter, Salicylic Acid, Sodium Polyacrylate, Corn Starch Modified, Phenoxyethanol, Benzyl Alcohol, Hydrogenated Polydecene, Xanthan Gum, Disodium EDTA, Tocopheryl Acetate, Parfum (Fragrance), Trideceth-6, Ethylhexylglycerin, Limonene, Dehydroacetic Acid, Geraniol, Linalool, Lactobacillus Ferment Lysate, Agar, Sodium Benzoate, Potassium Sorbate.